SPECIAL PRICE FOR A LIMITED TIME One woman's journal of single life on the margins. A brilliant collection of Lynne Truss’ journalism – recording the life of a metropolitan refugee from coupledom. The alternative ‘Bridget Jones’. 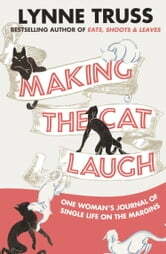 For seven long years, starting in ‘The Listener’ in 1988 and continuing in ‘The Times’ and ‘Woman's Journal’, Lynne Truss has been trying to make her cat laugh. It has been an uphill task, which is why she deserves this book, a recognition of outstanding courage in the face of futility. Along the way, 'Margins', 'Single of Life' and 'One Woman's Journal' have collected a band of devoted fans, yet still the cat remains unimpressed. 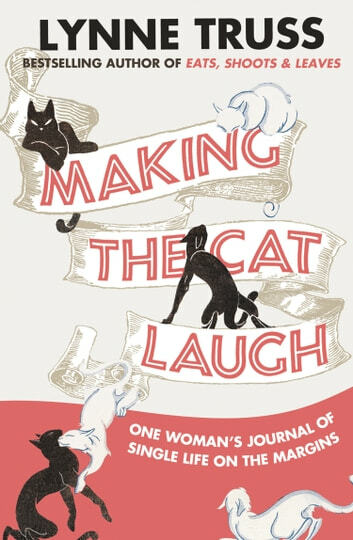 Never have so many jokes about Kitbits been found in such concentration as in ‘Making the Cat Laugh’. But under the headings such as 'The Single Woman Considers Going Out but Doesn't Fancy the Hassle' and 'The Single Woman Stays at Home and Goes Quietly Mad', we discover a writer not only obsessed with cats, but prone to over-reacting generally - to news stories, shopping, passive smoking, Christmas, coupledom, boyfriends, snails, sheds, Andre Agassi, cooking instructions, requests of 'How's the novel going?' and personal remarks of any kind.